The Green Thumbs Garden is a contribution to the community effort to enhance downtown Newark, Ohio and its offerings. It is located on property owned by The Works: Ohio Center for History, Art, and Technology. The Green Thumbs Garden is both a vegetable garden and an activity space designed to evoke inquiry and understanding. Located within The Works’ Discovery Garden, it encourages guests to explore the sights, sounds, aromas, and textures in nature. Green Thumbs was planted with the help of The Works’ youngest guests to explore farm to table concepts on a small scale. Every Friday throughout the summer, children help plant, weed, and care for the garden as well as create art projects within the garden. Active participation in the garden educates children on several tiers: where vegetables come from, what is required to grow them, and also provides an emphasis that gardens can be grown in small spaces – even within a city. While self-sustainability is often lost in the history of a city, it is important to highlight the opportunities for modest garden growth in an urban environment like Newark. Through the Green Thumbs Garden, children gain a deeper appreciation for wholesome and healthy food as they sample what they have grown while being creative, getting dirty, and having fun! The vegetable garden was planted in June of 2014, and plans have been installed to ensure its return for years to come to secure a reliable educational resource for the community. -Story contributed by The Works: Ohio Center for History, Art, and Technology. 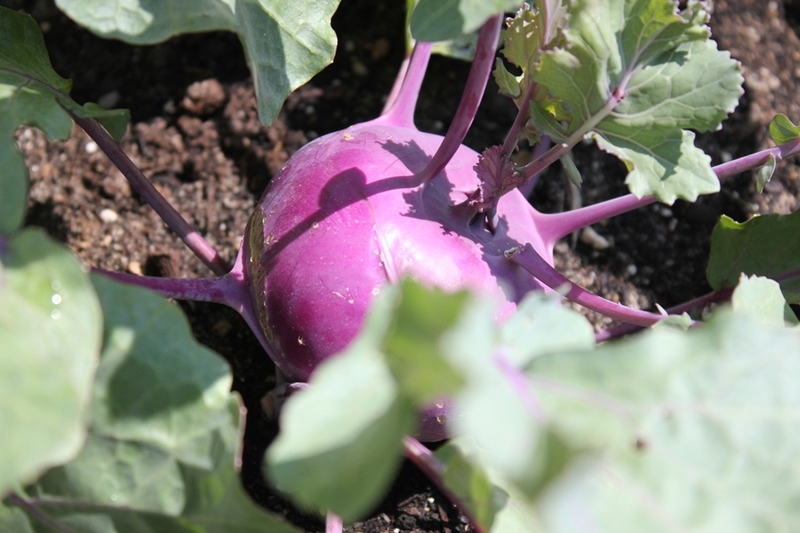 Purple kohlrabi is a bright sight in the Green Thumbs Garden at The Works: Ohio Center for History, Art & Technology in Newark, Ohio. 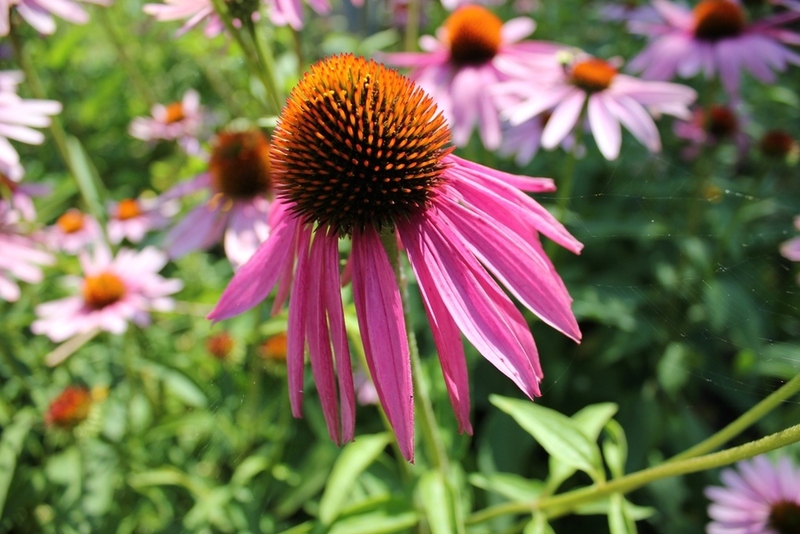 Coneflower adds beauty to the Green Thumbs Garden in Newark, Ohio, and attracts pollinators. The Green Thumbs Garden gives children in Central Ohio the opportunity to engage with nature in an urban setting. 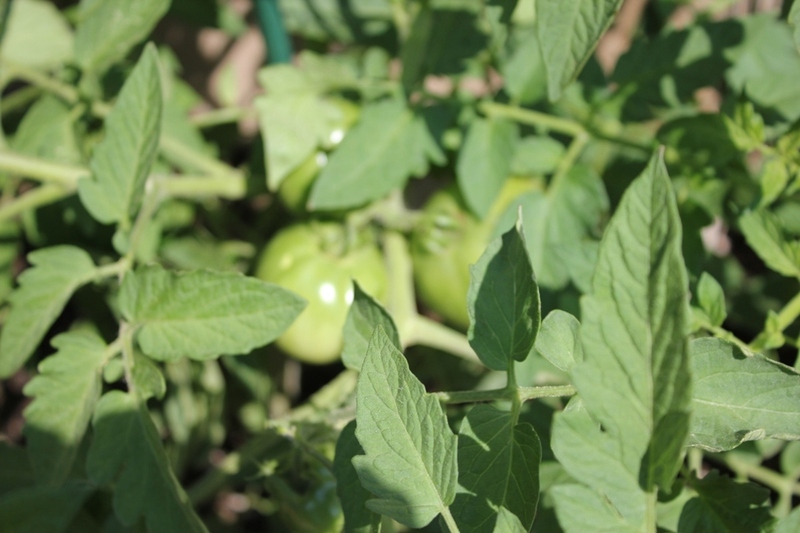 Tomatoes are just one of the many types of edible plants grown in the garden.